RE/MAX is the #1 Real Estate Franchise in the US – – Again! 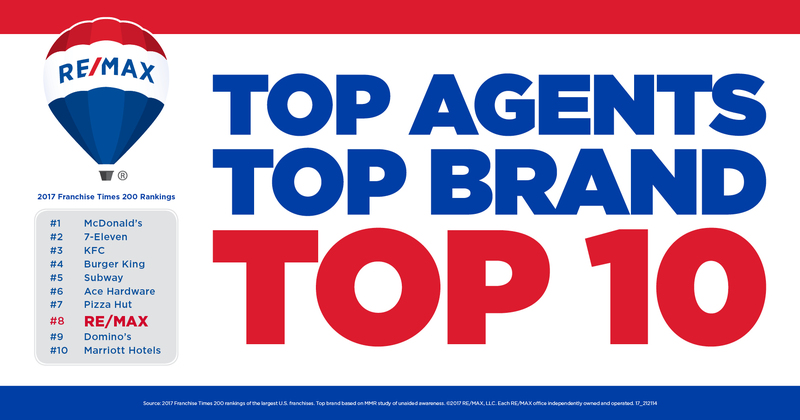 RE/MAX was once again a top 10 franchise and the leading real estate franchise for the 9th consecutive year in the annual Franchise Times Top 200+® survey. This put RE/MAX at the same level of other household names such as Marriott Hotels, Ace Hardware, and 7-Eleven. RE/MAX was also ranked #2 for total sales volume growth and #8 for unit growth. The average sales growth of the Top 10 companies was 2.8% – RE/MAX grew by 11.8%.